The Union Cabinet on Wednesday approved the merger of Bank of Baroda, Vijaya and Dena Bank to be effective from April 1. The merged entity will create the second largest public sector bank in the country after State Bank of India. The merged entity will create the second largest public sector bank in the country after State Bank of India. There will be no retrenchment of employees after the merger, the government said. There will be no retrenchment of employees after the merger, the government said. “After the merger, all employees of Vijaya and Dena will be shifted to Bank of Baroda,” Law and IT Minister Ravi Shankar Prasad said after the Cabinet meeting. 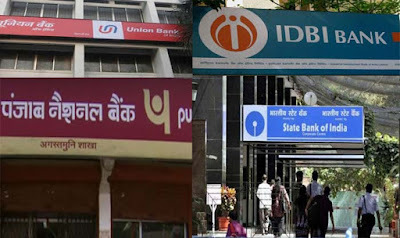 Of the three banks, Dena Bank is the weakest bank with the highest NPA ratio of 11.04% and business of merely Rs 1.72 lakh crore, followed by Vijaya Bank that has Rs 2 lakh crore worth of business and 4.10% of NPA. BoB has Rs 10.2 lakh crore worth business and an NPA of 5.4%. According to Finance Minister Arun Jaitley, the merger of two weak banks with a strong one will take care of their bad loans and provide better business opportunities with expertise draw from all three. Upon commencement of the scheme, all business, assets, rights, titles, claims, licenses, approvals and other privileges and all property, all bor­rowings, liabilities and obligations of Dena and Vijaya banks will be transferred to BOB, Prasad said.